This year marks the 200th anniversary of the publication of the first edition of Snow White. Almost all of us are familiar with the Brothers Grimm collected story of the ongoing efforts of an evil queen to snuff out the only woman in all the land more beautiful than she. What most people probably don’t realize is how Disney altered the plot in a critical way when it released its classic cartoon version of the tale in 1937. I don’t even mean the change to the written ending, which saw a reluctant Queen show up for Snow White’s wedding, only to be ambushed, locked into a pair of iron shoes that had been heated over hot coals, and then forced to dance until she died. The change to which I’m referring relates to the Seven Dwarves (called the Seven Dwarfs by Disney and others). The Dwarfs were nameless in the original, referred to only as “the first one, the second one,” and so on. There was a more obvious need to name the Dwarfs for the purposes of non-literary versions of the story. For example, the 1912 stage production called them Blick, Flick, Glick, Snick, Plick, Whick, and Quee. Disney, however, gave each of the seven a distinct personality, complete with a defining characteristic and names to match. However, some of these little guys made out better than others. For no reason aside from my own amusement, here’s a ranking from worst-to-first of Snow White’s seven companions. 7. 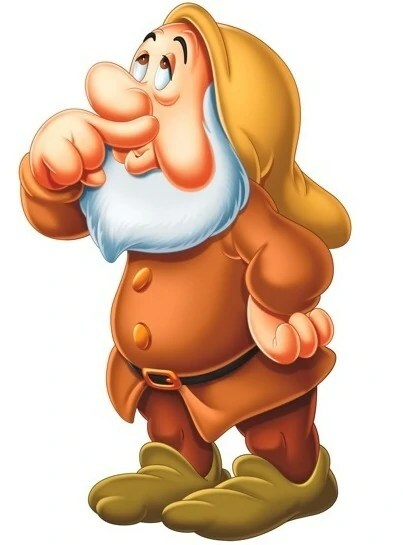 Sneezy: The Dwarfs are quite old in nearly every telling of the story. Sneezy has therefore suffered through more than a century of chronic sneezing, which I find implausible. I mean, he has to kill himself long before his 50th birthday, correct? That’s probably what happened to the eighth dwarf, Hiccuppy. Sneezy’s existence is simply intolerable. 6. 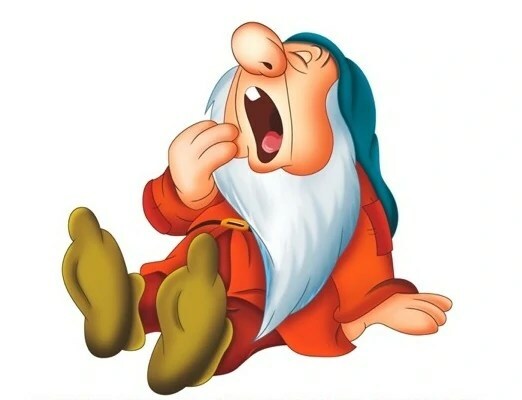 Sleepy: Despite being plagued by a narcoleptic disorder, Sleepy is a fairly astute member of the group. However, as much as I myself enjoy sleeping, being constantly fatigued (not to mention pestered by a ubiquitous fly) isn’t my idea of a rich and full life. Perpetual yawning is only a moderate upgrade over perpetual sneezing. 5. Bashful: Kind of a dud. He doesn’t have a lot of pluses, but he only has one minus. Unfortunately, as with Sleepy and Sneezy, it’s a fairly big one. Namely, debilitating shyness. He has trouble so much as speaking a single word around Snow White, a woman with whom he’s smitten but who has no interest in him whatsoever. While that scores some points with me for being relatable on a personal level, I can’t rate Bashful any higher than fifth. 4. 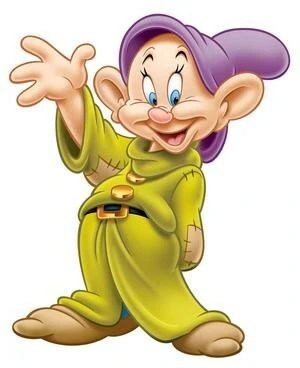 Dopey: He’s a mixed bag. The fact Doc and Grumpy can actually find common ground in their that hatred of Dopey should be a huge red flag. On the other hand, he’s the most popular Dwarf among audiences. On a hypothetical third hand, he can’t even talk, limited to a few non-verbal noises. Still, he seems pretty happy . . . although, not as happy as Happy, if that makes sense. 3. Doc: Surprised Doc is this low? 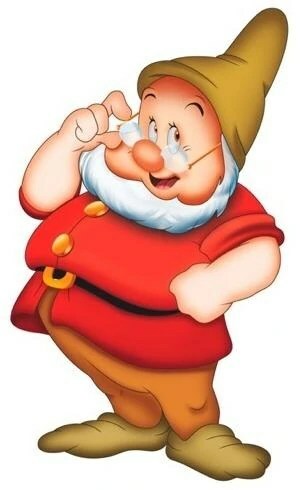 Think about it: Getting hassled by the other Dwarfs to be responsible and take a leadership role. Constantly having your authority undermined by that a-hole Grumpy. Being a wet blanket when Dopey pulls his “My eyes are diamonds!” routine. Not good times. Doc also drifts into “pompous windbag” territory on occasion to boot. 2. Happy: Like a couple of his dwarf brethren, Happy doesn’t have a lot going for him. But, in contrast to characters like Sleepy or Sneezy, Happy’s affliction is a beneficial one. There are worse things than going through life being pleased all the time. Having said that, Happy still doesn’t take the top spot because his happiness is partially the result of naivete. 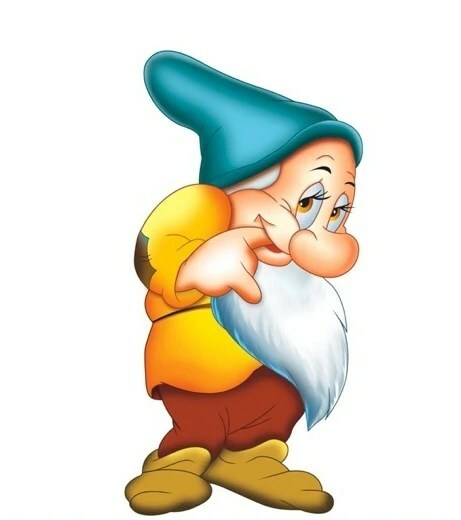 There’s another Dwarf who may not be as happy, but who does see right through all of life’s BS . . .
1. Grumpy: Good at his job? Check. Has to take orders from someone less competent? Check. Doesn’t suffer fools? Check. A little suspicious of women and their “black magic?” Check. The only one who doesn’t flip out over Snow White singing “Someday My Prince Will Come?” Check. Do I like the cut of this guy’s jib? Double check. 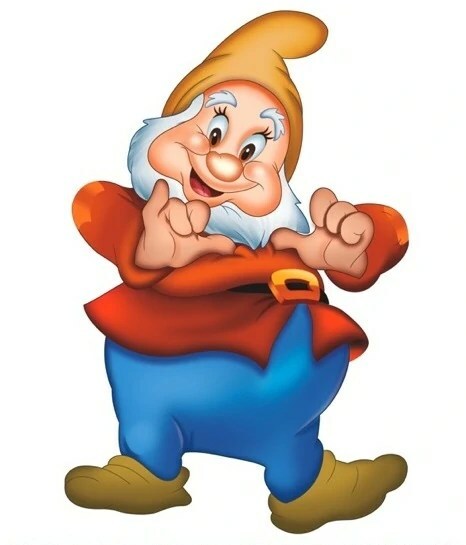 Grumpy’s worldview may trend toward cynicism, but he’s the only Dwarf who seems to be in touch with reality. You win, Grumpy. This entry was posted in Commentary, Movies and tagged Commentary, Disney, Humor, Movies, Silliness, Snow White, Snow White and the Seven Dwarfs. Bookmark the permalink.